rough layout of the genres. Reproduced by the kind permission of Bradshaw's Bookworld Companion, 23rd Edition. other work or opinion without Fforde's written permission. 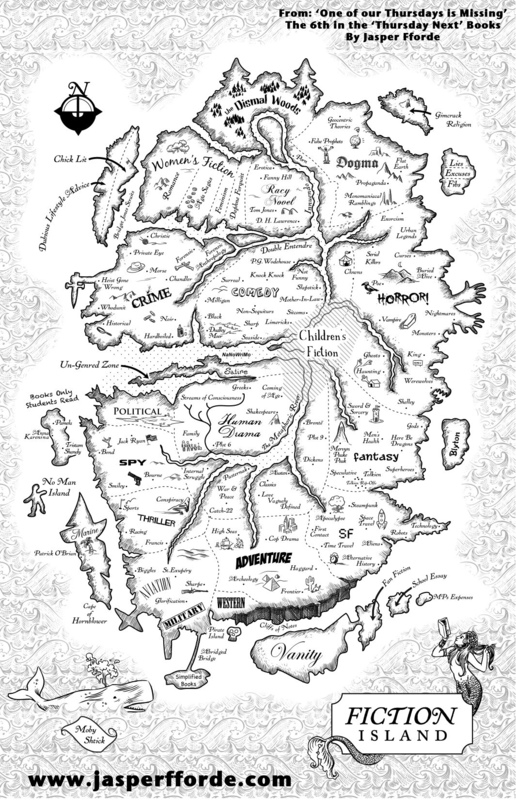 The map of Fiction Island.